More than half of all Tridents are triple keelers. 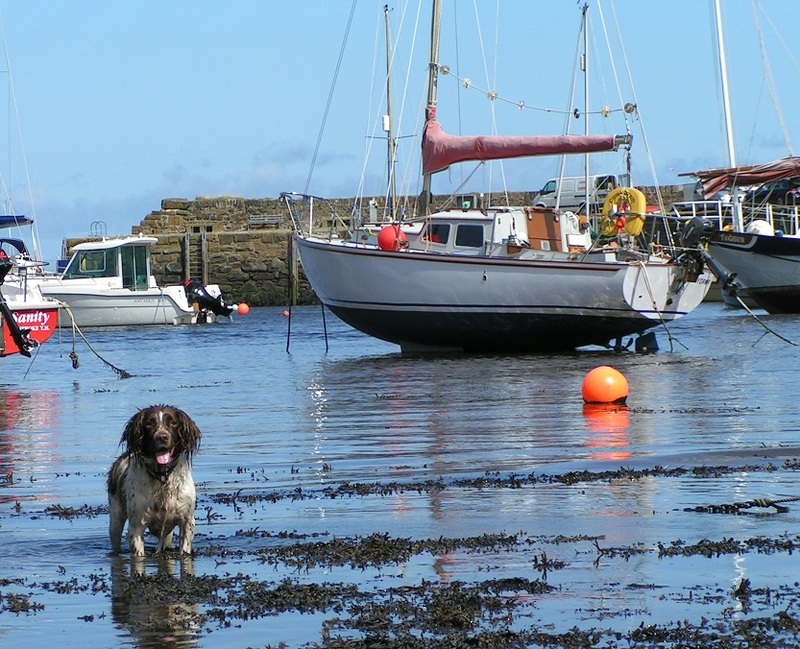 Drawing just 2’6″ they are particularly suited to shallow and drying moorings (click pictures to enlarge). 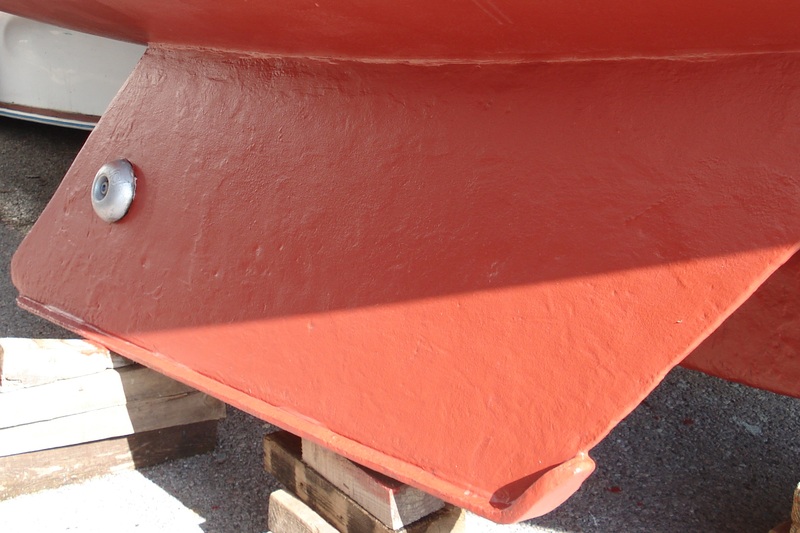 The central cast-iron ballast keel is flanked by two galvanised steel bilge plates ½” thick. 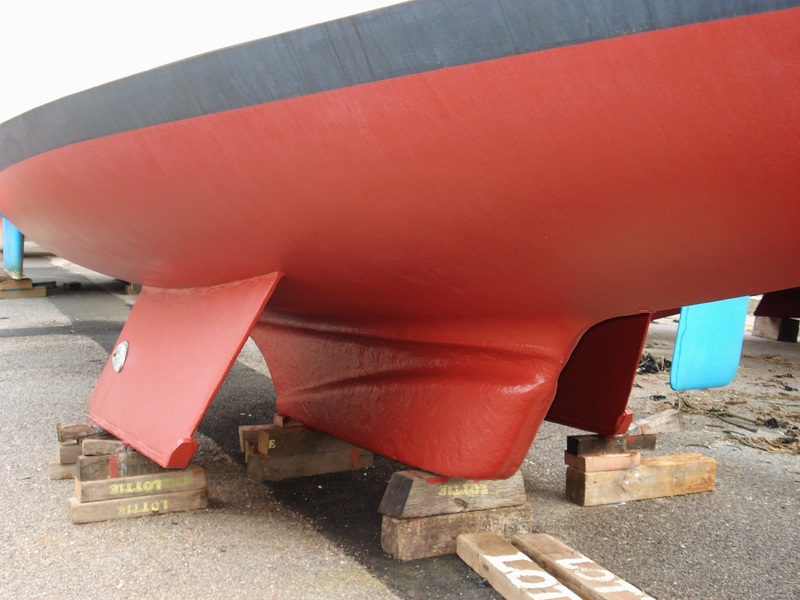 These bilge plates are set 6 inches into the hull and glassed over with 3 layers of GRP (2oz csm) before being through-bolted with stainless steel bolts. 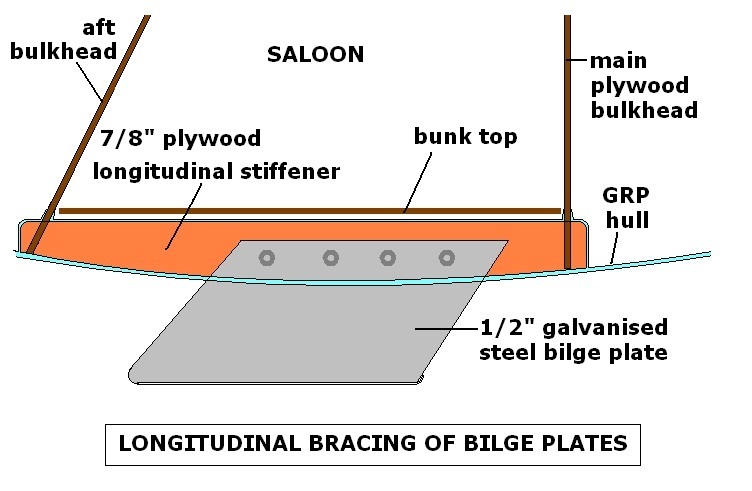 The bilgeplates are further braced by 7/8″ plywood longitudinals which run the length of the saloon and are embedded into the saloon bulkheads fore and aft. The whole assembly is then glassed into the hull and bulkheads with a further 2 layers of GRP making the bilge plates immensely strong and watertight but extractable for replacement or repair by removal of the bolts. These intrusions into the saloon are hidden under the bunks and have the added advantage of isolating the underbunk lockers from any water that may get into the bilges, ensuring anything stored there remains dry and free from oil or diesel contamination. 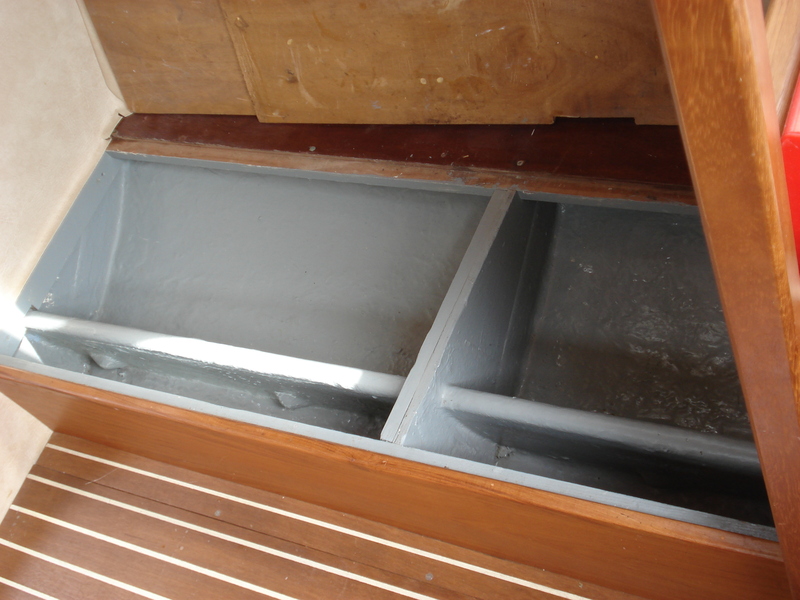 The divisions between the under-bunk lockers provide additional transverse stiffening to the bilge plates. 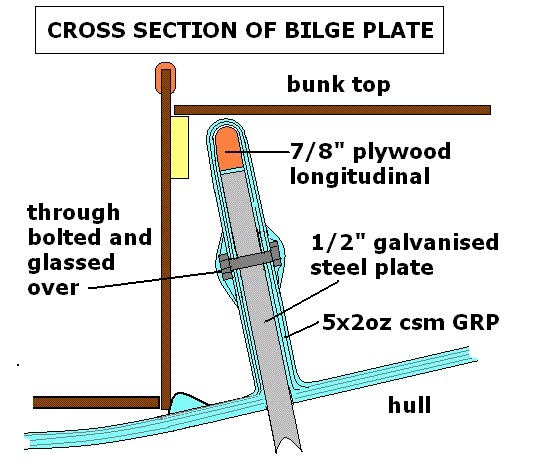 Horizontal steel strips welded to the bottom of the bilge plates protect the edges of the plates from wear and prevent the bilge plates from digging in on soft ground. Though the bilge keeler is not as stiff or weatherly as the fin and drop keel variety, they remain good seaboats and many extended and adventurous Trident cruises have been in triple keeled boats, including voyages to Spain, Holland and the Mediterranean and in the Irish Sea and round the top of Scotland.